First Thursday opening reception, 6-9 p.m.
White Box at the University of Oregon in Portland, White Stag Block, 24 NW First Ave. 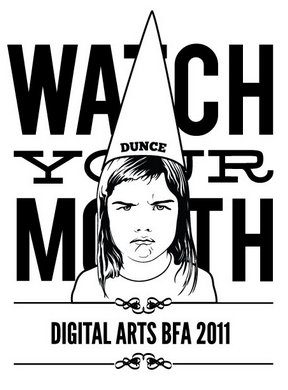 The University of Oregon Digital Arts BFA 2011 exhibition, WATCH YOUR MOUTH, is composed of works by 12 artists. 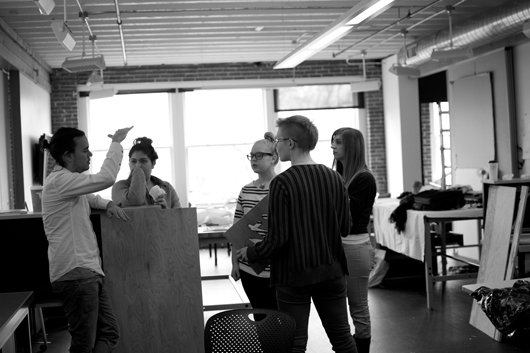 The digital arts bachelors of fine arts program is part of the UO School of Architecture and Allied Arts in Portland. 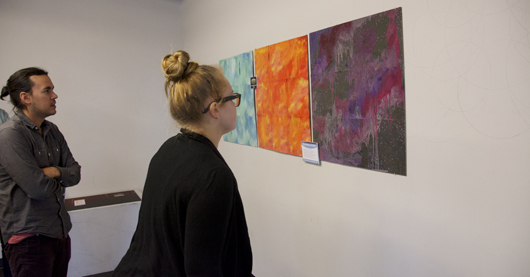 It is a yearlong professional degree for students holding a bachelors degree in art, multimedia or digital arts. Each artist’s thesis has been dedicated to the development of their creative process, their conceptual motivations and the production of a vast range of media in an art context. These artists seek to define meaning and purpose in a complicated world. They are invested in a critical inquiry into how humankind navigates a complex existence. This thesis exhibition is the result of mining the abstract space between humans and technology, researching cognitive behavior, dissecting language and information delivery systems, examining our poetic relationships to space and place, investigating material translations, process obsessions, and questioning personal philosophies – often with a dark, twisted and cryptic sense of humor. The range of media and methodologies employed span hybrid digital output, computer programming, image capture, drawing, animation, sculpture and as always, evidence of the skilled hand. Like barometers for culture and society at large, these artists ask important questions about how and why we live in a technologically fertile, swiftly moving world. Change, thought, story, space, inquiry, truth, translation, language, communication, digitization, these ideas are consistently mined and dissected from this critical, analytical group of young artists. It is with their work we attempt to find a better understanding to our place in the universe. 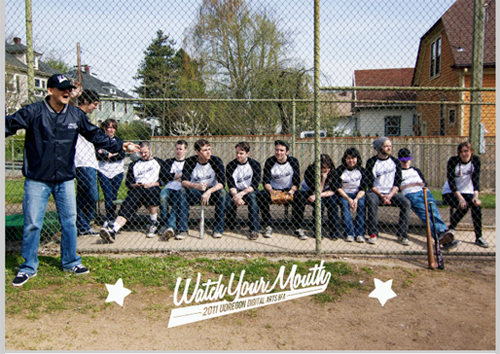 Brian Aebi, Amy Chan, Braeden Cox, Gage Hamilton, Matt Pfliiger, Andrew Pomeroy, Steven Robinson, Brad Saiki, Lauren Seiffert, Tanya Tracy and Chris Wilson. 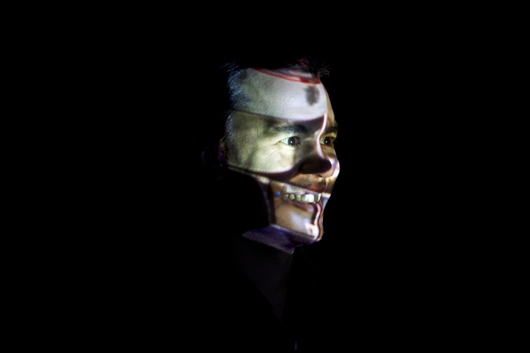 The UO digital arts faculty is Colin Ives, Craig Hickman, John Park, Michael Salter, Ying Tan and Katz Ucci. The White Box is a 1,500-square-foot visual laboratory that allows students, faculty, regional and national communities to research, explore and present global issues in art, design and architecture. The White Box is located at 24 NW First Ave, on the ground floor of the White Stag Block. It is open from noon to 6 p.m. Tuesdays through Saturdays, during the period when an exhibition is scheduled. Admission is free. The University of Oregon is a world-class teaching and research institution and Oregon’s flagship public university. The UO is a member of the Association of American Universities (AAU), an organization made up of the 62 leading public and private research institutions in the United States and Canada. The University of Oregon is one of only two AAU members in the Pacific Northwest.